Playing with style, trying something a bit more streamlined and cartoony. 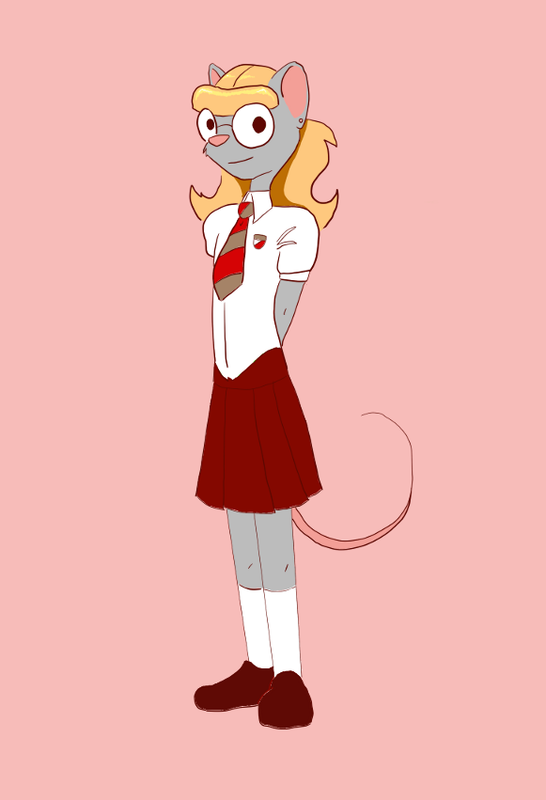 Sissy wearing a schoolgirl uniform. It helps that he has a lot of older sisters to steal hand-me-down dresses from.